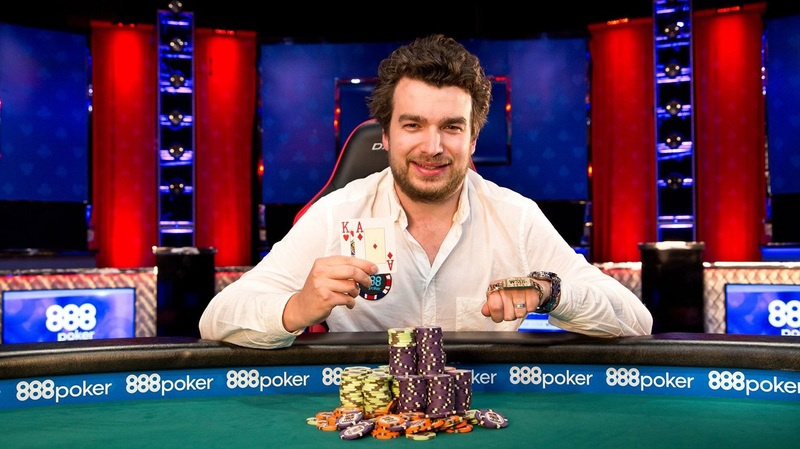 Gone are the days of having to lay down hundreds of dollars, simply to play in poker tournaments. In fact, did you know that some players have built bankrolls worth thousands of dollars, from scratch (literally – nothing)? Wonder how they did it without ever depositing their own cash? Here’s how: Playing Free Tournaments! 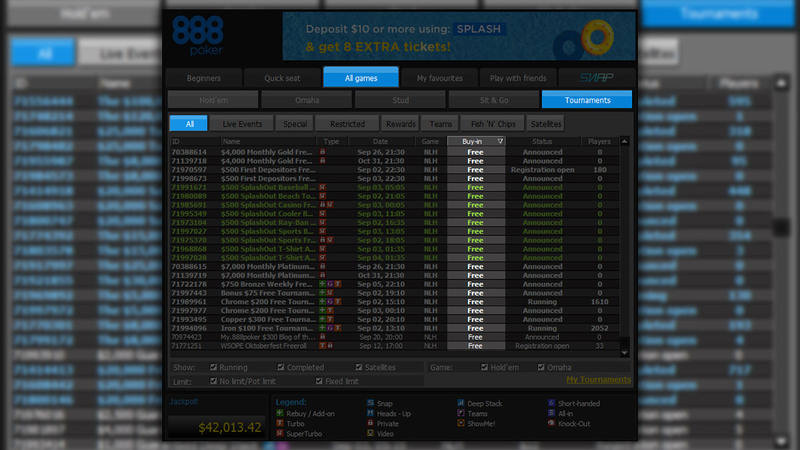 To view Free Tournaments via 888poker software, click on 'All Games' >> 'Tournaments' >> 'All' for complete list. Free tournaments are a type of poker tournament that’s free to enter. But, get this, these tournaments still give out real money and/or other prizes (i.e. tournament tickets) to the top-place finishers. This makes them a great way to start a bankroll online, without having to risk one penny! Usually, there are no restrictions on who can play in free tournaments. However, sometimes you must meet certain qualifications and receive a password, or special tournament ticket, in order to register and play. 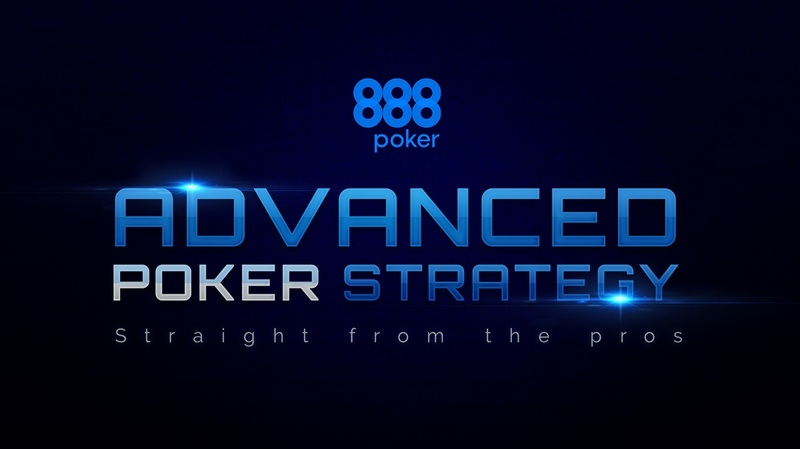 Why Play Free Tournaments at 888poker? 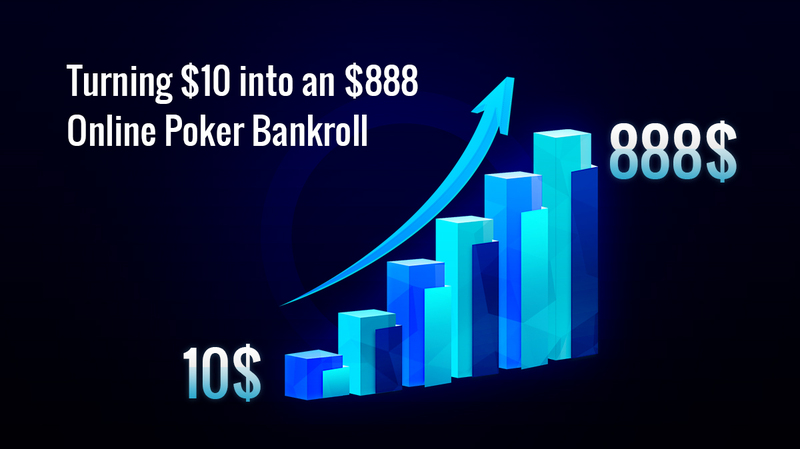 Free tournaments allow you to start a bankroll and win real money without ever having to deposit or risk losing your own cash. 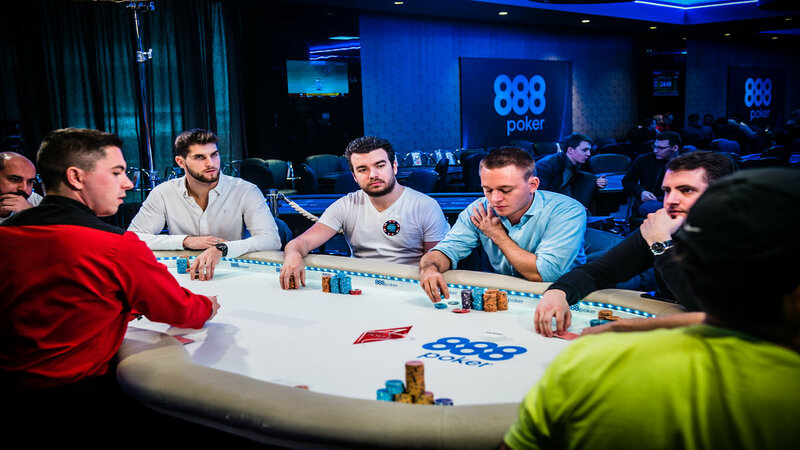 These tournaments can take a long time to play out, (they’re usually MTTs).They can be very difficult to cash in, and the smallish prize money might not be considered worth the effort. 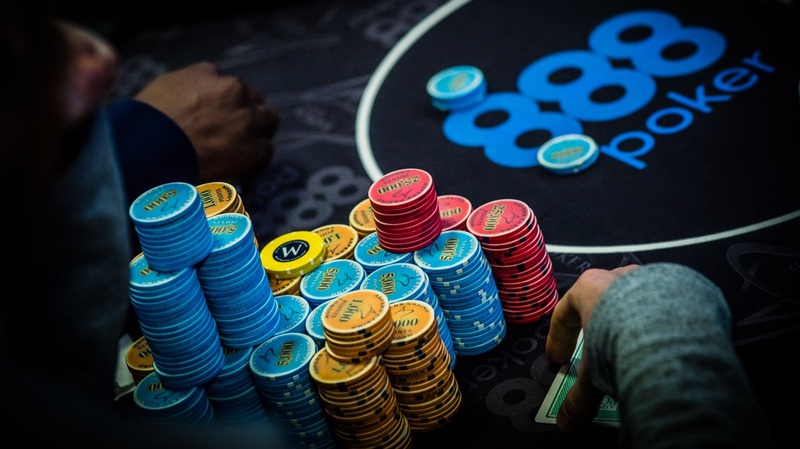 If you don’t have any money on a poker site and you either don’t want to deposit, or don’t want to risk losing any of your own cash, then playing free tournaments is a great place to start. These free tournaments are also a decent place for new players to learn the basics; how the game action works and how to play. You'll still have the added bonus of potentially winning real money in the process! It's a win, win! 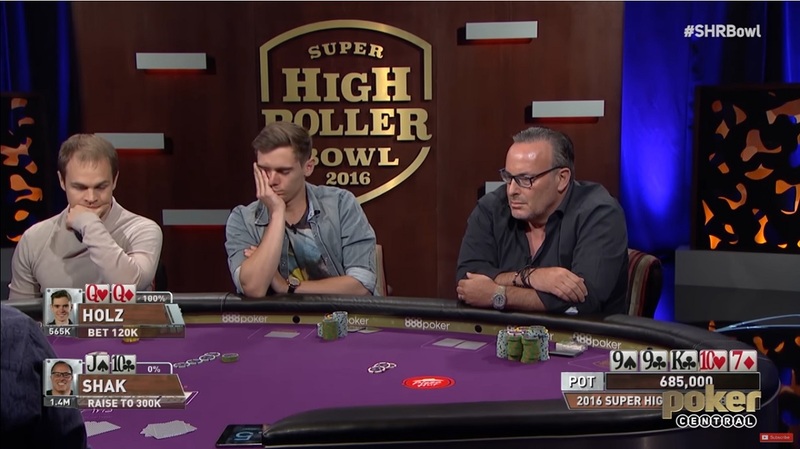 Tag the Players Sitting Out: These will be the people who auto-fold every hand. They’ll be the easiest players to steal blinds from. Tag the Loose/Maniacs: These will be the players you’ll need to play tighter against. Do they always go all in pre-flop? 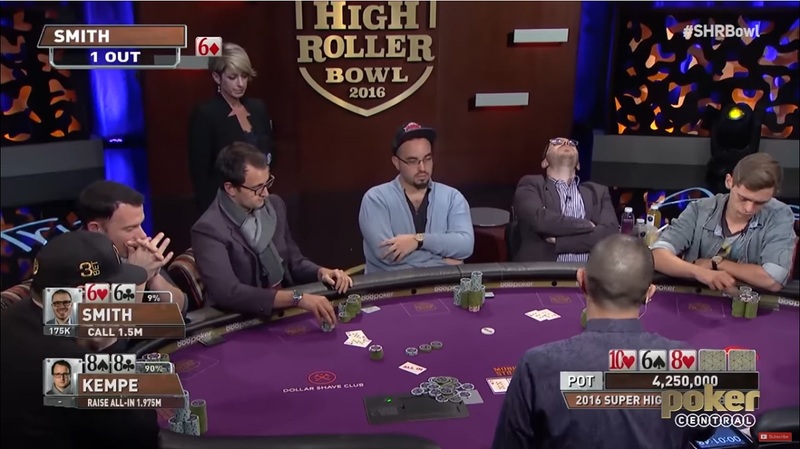 Do they play smartly post-flop? Identify their playing style and then take them down with a big hand, when the least expect it. Play Tight: Most people playing free tournaments are just starting out and are in way too many hands. Beat them by taking on a style opposite to theirs – usually tighter. Know What Your Goal Is: Is your goal to cash? Is your goal to win? 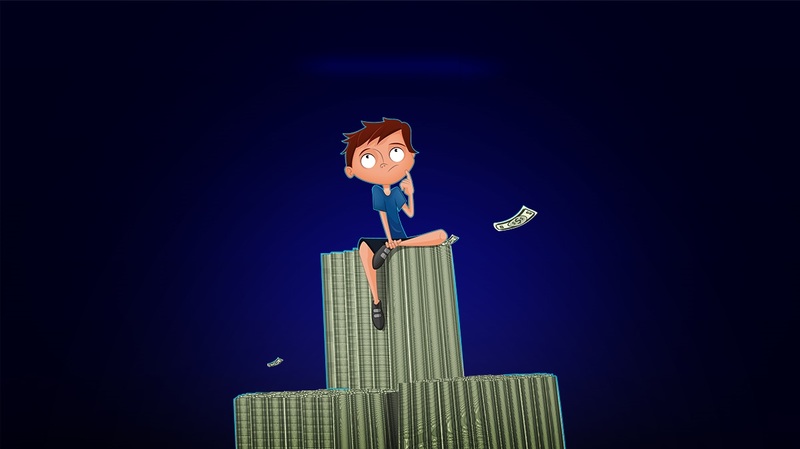 Are you looking to start a bankroll with these funds? Adjust your play to whatever your goal is. 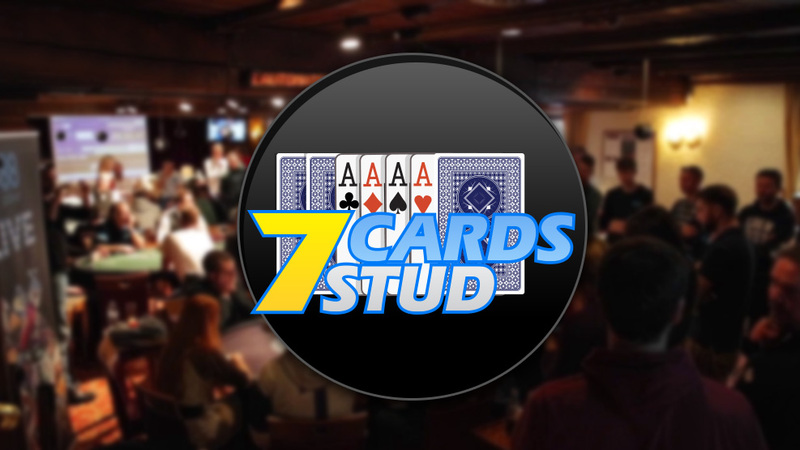 If you're just playing for fun, then by all means, go all-in with 7-2 off-suit! Straightforward Play is Best: You won’t have to worry too much about fancy plays or “making moves” in these tournaments. It’s best to just bet if you have a hand; check/fold if you don’t. Simple!